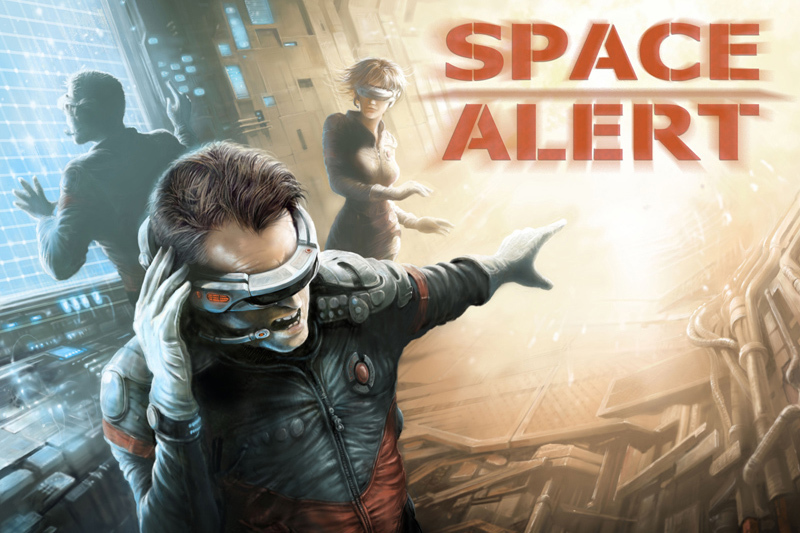 Space Alert is a real-time co-operative team survival board game. Players become crew members of a spaceship exploring the uncharted dangerous galaxy. 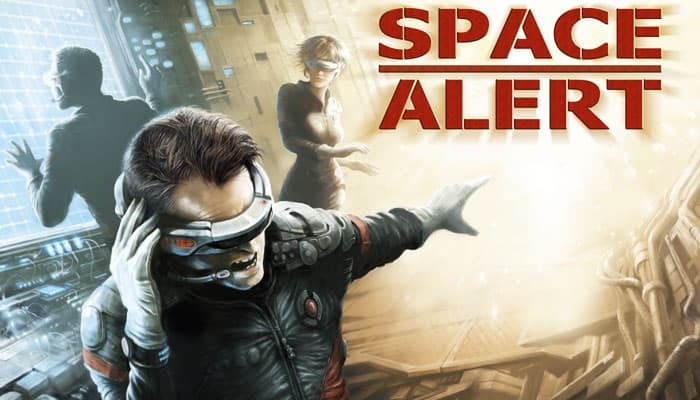 In, Space Alert, the missions takes about 10 minutes to play. It's the task of the players to protect the ship until the mission is completed. During play, the central computer will announce the presence of various threats and players must together coordinate actions (moving around the ship, firing weapons, distributing energy, using battlebots,...) to take care of each task and threat. After the 10 minutes are up, you move into the resolution round and see how you actually did. Points are calculated based on the number of threats handled and the amount of damage their ship sustained. Only a well working team can win this game. Choose a difficulty level for common threats: lower (white-symboled cards), higher (yellow-symboled cards), or random (both types mixed together). Prepare an external common threat deck and an internal common threat deck with this difficulty level. Until they perform their X action, all weapons systems ignore them. If the Phantom Fighter is targeted by a rocket (after it has revealed itself) the rocket is destroyed with no effect.